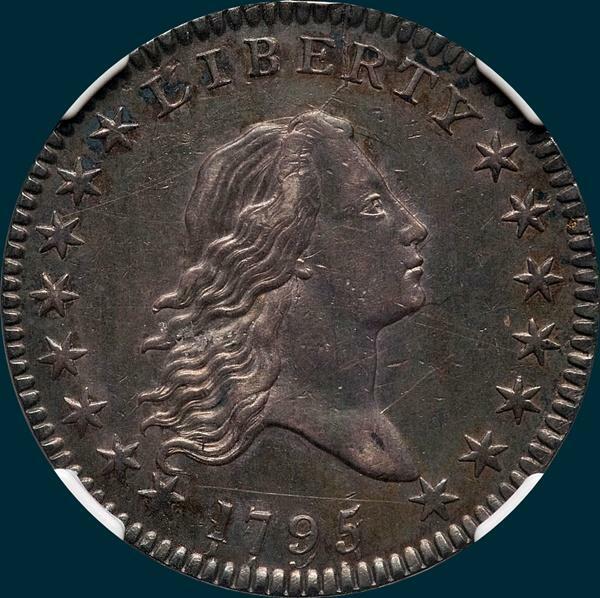 This is the second use of the 1795/1795 obverse die. Few examples above XF survive, but there is a single MS65 out there somewhere that has not been seen in over 20 years. Once again, most examples are in lower grades. Variety Attribution: Obverse-Point of star 1 touches tip of lowest curl. Star 15 nearly touches end of bust. Date is 7 3/4 mm. and double cut with first date very low, (175 touches milling). Final date much higher leaving nearly half of first date showing. BE in LIBERTY also recut. All observed specimens show a die crack from milling downward between ER, touching left base of R and across head to ear. 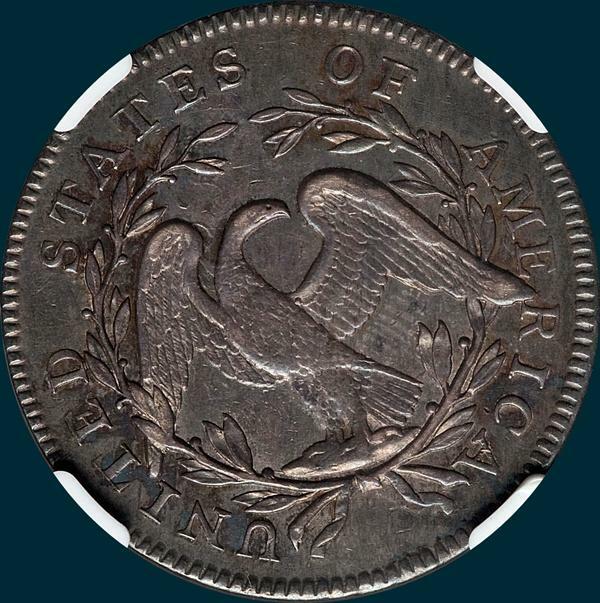 In some specimens this crack is light and if coin is a bit worn, it may only be visible at upper end between letters. in late die states it becomes quite heavy and extends below ear to edge at nine in date. Some late die state specimens have been lapped thereby removing signs of recutting at BE. Reverse- 17 Berries, 9 left and 8 right, 2 under each wing all on inside of wreath and the upper one on the right is the only one of the four that has a stem. Point of leaf under left base of I. Center dot near junction of right wing and body. Left base of R attached to wing.